The older my precious Lady got, I prayed she would pass peacefully in her sleep. I never wanted to face the decision to help her cross her rainbow bridge. In fact, I emphatically told my husband to never ask me to make that call. Lady was approaching her seventeenth birthday. 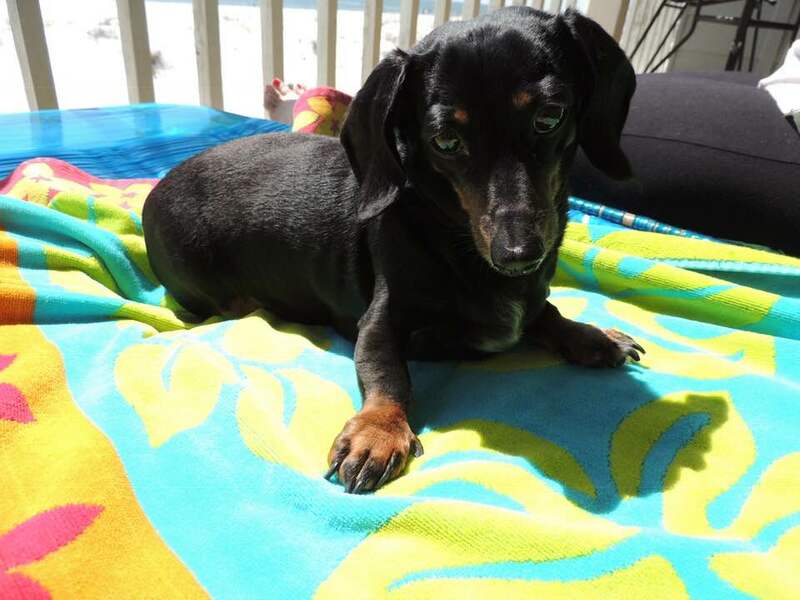 Although her life had already been a long one for a miniature dachshund, her life had been filled with physical struggles. She was only one year old when she had her first seizure. Her seizures would become more frequent over the years until she had one when she was ten years old that resulted in the rupture of a disc and her backside paralyzed. Fortunately, she was able to have surgery in the short window for it to be successful. Months of therapy helped her gain her mobility again. Lady developed many other health problems in her senior years and by the time she was almost seventeen she was on a medicine regime six times a day. But bless her little heart, I often called her a little trooper because through her many struggles she kept going the best she could always bouncing back to her playful self. My sweet Lady was born in December of 2001 three months after my only child went off to college. My nest was feeling very empty and my husband thought I should get a puppy. I first met Lady when she was only six weeks old. It was a magical day. I remember sitting on the floor with Lady and her siblings scurrying all around me and over my legs. Lady was the most curious. As soon as I sat down on the floor, she scampered up my legs and continued her climb up my fuzzy sweater until she reached my chest. She paused and stared intently into my eyes. It was like she was looking into my soul deciding if I would be a good human mamma. I was totally enamored from that moment. She remained with her furry mamma until old enough to leave. She was very happy to see me when it was coming home day. She wagged her tiny tail as she greeted me. I was amazed to think she was remembering the day we met. She made me feel like she did. And so our long life together began. In the hours that followed my beloved Lady’s passing and I shared the sad news with my friends on Facebook, I had a friend speak of beloved pets as our heart’s companion. This term seemed to describe precisely how I felt about my dear Lady. She had been my heart’s companion for almost two decades. She filled my empty nest with unconditional love in a way I had never really experienced before in my life. And through her many health challenges and illnesses, I felt her need for me as much as I know I needed her. Her last days were spent in an animal hospital and her life was dependent on supplemental oxygen, a feeding tube and IV meds to maintain her blood pressure. There seemed to be no solution to improve and I was indeed put in the horrible position of making the decision I said I never would. Dear ones, if you’ve had to make such a call, I understand the depth of your pain. I couldn’t catch my breath. My sorrowful wales were extreme. The tears would not stop pouring. I’ve since read that pet loss is an emotionally devastating experience. I concur. Another friend had told me that I had loved my dear Lady well, so I would need to grieve her well. My mother had passed away at ninety-two years old only four weeks earlier. I was still grieving her loss and journaling my feelings and memories. Lady’s passing intensified my sadness. I wasn’t sure what it meant to grieve well. 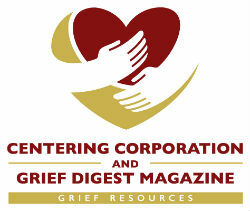 Certainly, there is no one right or wrong way to grieve. I needed to find my way to cope, my way to walk through this difficult sad season. I started writing about my beloved Lady. I had learned so much from her long life. I wanted to ponder the many lessons learned. Cherish them. Celebrate them. I wanted to keep her in my heart as the jewel she would forever be. I typed through my tears. The miracle of this was that I found a way to smile through my sadness. Even smile through my tears. It was like I was discovering a way to be sad and happy at the same time. I had caught a glimpse of this possibility when Lady was in the hospital. I host women’s retreats and one such event was during Lady’s long hospital stay. My heart was in turmoil and agony being away from her. Overwhelming at times actually. I found the only way to survive the days and be present for the many wonderful ladies attending was to truly live mindfully in each moment. Not think about the next moment or next hour or next day. Breathe and be in each moment! And in doing so, I was able to have many joyful ones. Even laugh...while still feeling so very sad. It turns out I was learning a valuable tool I would continue to need to implement – how to find happiness and feel happiness while still feeling very sad. Through my writing about my joyful memories of my sweet Lady, I was allowing myself permission to not wait for my sadness and sorrow to end to have happy remembrances of her. That it was okay for me to feel happy in my memories. And what I discovered was that all of this was helping me to brighten the darkness and lighten the heaviness of my grief. Do I still have times when I struggle with sadness? Of course, I do. Undoubtedly I will forever miss my beloved dachshund. She was my heart’s companion for one third of my life. I recently told my husband how grateful I was to him for bringing the gift of Lady’s love into my life. In spite of my sadness, I’m so happy that I was blessed to have her in my life for so many years. My great desire for you that are also struggling with your own loss of a beloved pet is that you will try recording your treasured memories and lessons learned from your furry friend. That you can discover your own path to cherishing your happy times spent with your sweet angel while still feeling sad at their departure. My hope is that when you do this you will find like I did a way to keep moving forward as you walk through your season of sadness. And that eventually, you will turn your tears of mourning into smiles of remembrance. Annette is an author and publisher of books, journals, coloring books and even a cookbook for children. She’s also a women’s retreat host, cattle rancher’s wife and college professor’s mom. Her journey through grief included her precious ninety-two year old mother and beloved seventeen-year old dachshund passing within a month of each other. Today, Annette writes a country lifestyle column for North Texas Farm and Ranch magazine and continues writing and publishing books and products that encourage and inspire. She lives on a Texas cattle ranch with her husband John and can drive a tractor but only if she’s wearing a fresh coat of lipstick and it’s not her pedicure day. You can learn more about Annette at her website www.annettebridges.com. She is available for in-person and virtual events and interviews.